Rhea V. Almeida, Ph.D, is a family therapist, trainer and educator. She is the author of numerous journal articles and three books: Expansions of Feminist Theory Through Diversity, Transformations in Gender and Race: Family and Developmental Perspectives and co-author of Transformative Family Therapy: Just Families in a Just Society. She is the founder of the Institute for Family Services. Her 4th book is due to come out April, 2019. I recently had the opportunity to interview her about her new book Liberation Based Healing Practices. JC: Can you tell our readers a bit about your background and the contexts you work in currently? RVA: My background is in marriage and family, social work and anthropology. I currently work and teach at the Institute for Family Services which is a free standing institute in Somerset, New Jersey that I founded in 1986. I am also the co-founder of the Liberation Based Healing Conference currently in its 14th year, co-hosted by universities across the country. This year we will be hosted by Edgar Mevers College, in NYC. 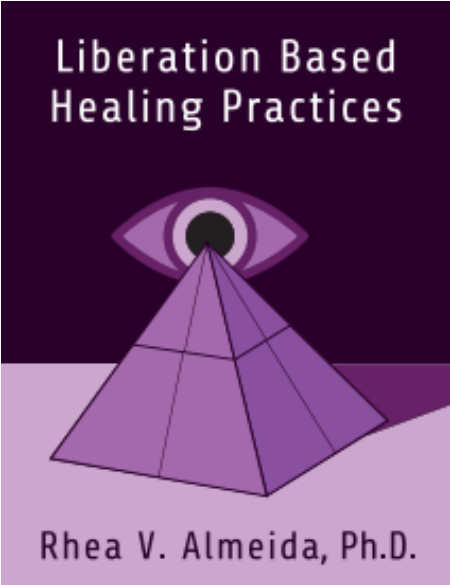 JC: Can you define “liberation based healing” and tell us how it differs from more traditional forms of diagnosis and psychotherapy? 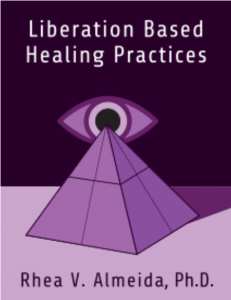 RVA: Liberation based healing (LBH) seeks to highlight the challenges and opportunities that individuals face from either privilege or oppression. We strive to eschew diagnostic codes or therapeutic narratives and instead help the client see the powerful way that poverty, racism, or other forces impact well-being, mental health, or a vulnerability to mental illness. Our goal is to increase the dialogue and connection of people in groups so that they can learn from others’ experiences, see the commonality of their experiences, and thus feel less isolated, shamed or pathologized. Our approach differs from traditional group therapy in the sense that we believe that participants benefit from sharing the diversity of their lives and challenges, rather than the pursuit of some common shared goal such as the alleviation of depression, anxiety, etc. JC: Is there a reason that your book is particularly relevant right now? RVA: There couldn’t be a more relevant time for this book. We are in a time where basic values of decency are shattered on a daily basis; people are afraid of each other, resentful, and numb to the daily attacks they witness towards different groups. Social media not withstanding, they feel pulled to focus on themselves at the exclusion of others. It is a time when people are spending less and less time in communal spaces such as neighborhood gatherings, religious gatherings, or other social groups. Many are trapped in an endless cycle of work and family responsibilities. This book offers a small way to make a difference for many struggling individuals and communities. JC: In the book you make the case for “redefining and expanding the therapeutic context” and you encourage community leaders to become more involved. Can you expand on that? I believe that increasing the connections within and outside of the family is essential to the mental health of our society. From that perspective, bringing together multiple families or couples into the same treatment environment can provide a way to build community while at the same time illustrating the common trials affecting so many families today. However, I believe that inviting educators and community leaders into the room to provide help, aid, and leadership is an additional component of healing. Redrawing the walls of therapy as we know it into healing circles offers therapists the freedom to shift complex problems into something more manageable and comprehensible. JC: What problematic assumptions do you believe exist in contemporary family therapy theory and how do you recommend that those be addressed? RVA: There is a common misconception that one should only address gender, race, sexuality or sexual orientation if the client raises it. I believe that this doesn’t offer an opportunity for a therapeutic dialogue to take place, and for the individual to gain the kind of insight and understanding that true community provides. Our approach moves these aspects of identity more into the foreground of discussion. Dr. Coleman is a psychologist in private practice in the San Francisco Bay Area and a Senior Fellow with the Council on Contemporary Families. He is the author of numerous articles, chapters and books. He has been a frequent guest on the Today Show, NPR, The BBC, NYU Psychiatry Radio as well as Sesame Street, 20/20, Good Morning America, America Online Coaches, and PBS. He is the co-editor, along with historian Stephanie Coontz of seven online volumes of Unconventional Wisdom: News You Can Use, a compendium of noteworthy research on the contemporary family, gender, sexuality, poverty, and work-family issues.